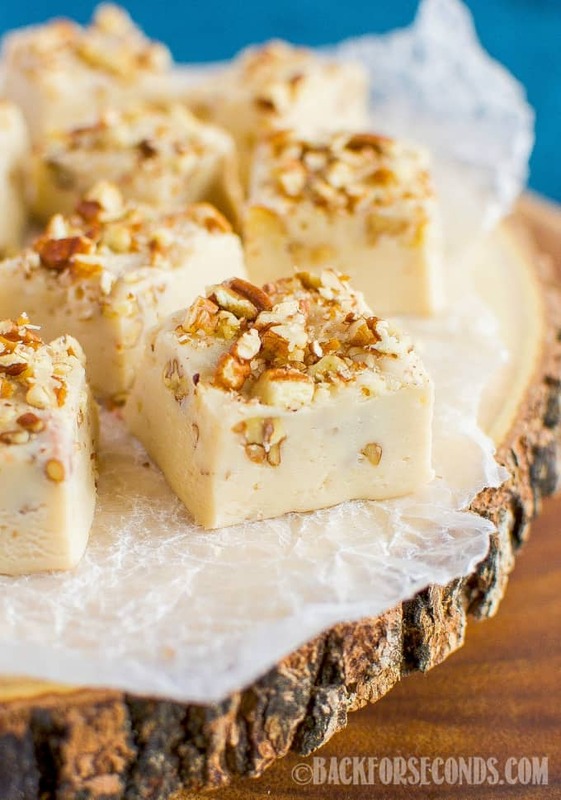 It’s not the holidays without fudge, and this No Fail, Easy Salted Maple Nut Fudge will be a welcome addition to any holiday party, cookie tray, or gift box! To be honest, we make fudge all year long, but November and December are prime fudge season! This time of year is busy enough, so I make my fudge recipes super simple! 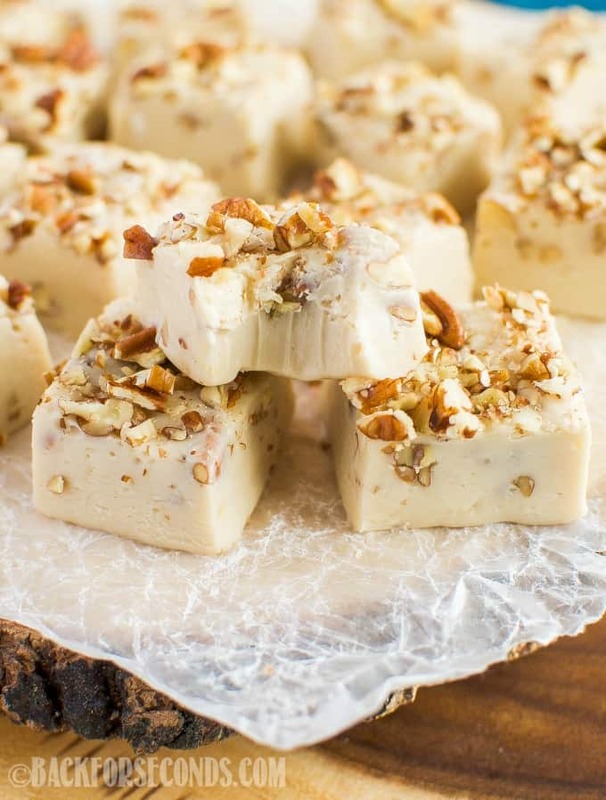 You can’t mess up this Easy Maple Fudge, and it will have everyone going back for seconds! Usually, when I need a dessert and have no time to prepare anything, fudge is my go-to! It literally takes less than 10 minutes to make, then you just let it chill in the fridge while you carry on with your life. This 5 Minute Mint Chocolate Fudge is a must make every Christmas. Better make a double batch because it will disappear fast! I was actually a little surprised my kids liked this maple fudge. I feel like the flavors are a bit more…mature. Plus it has nuts, which don’t always go over so well with kids. But the sweet maple flavor pairs beautifully with the nuts and sea salt topping. 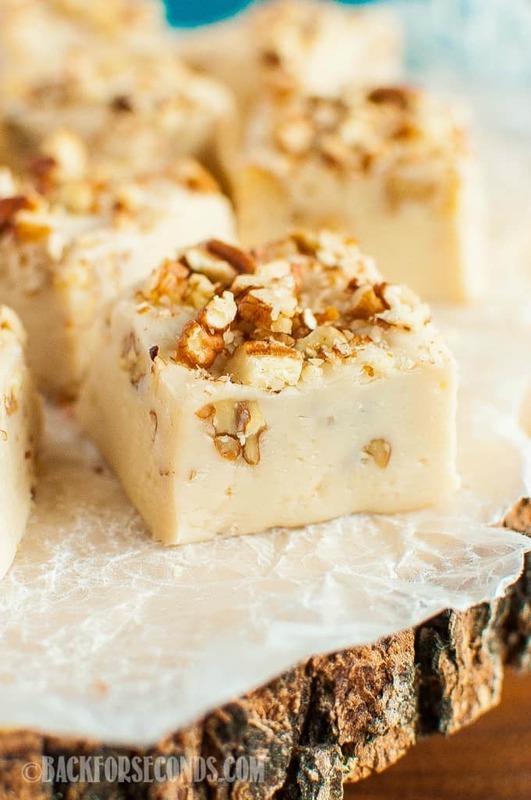 If you are like me and love salty and sweet together – you’re going to love this fudge! what is flaked sea salt?